There were rumors that Android would be dropped in favor of Tizen on the Samsung Gear 2 and it has indeed happened. Apart from revealing the said smartwatch, the company also tossed in a Gear 2 Neo variant. The new wearables have ditched Android for a Tizen-based wearable OS. But they’re still compatible with Samsung phones running on Google’s mobile OS. They stick to the same 1.6-inch 320 x 320p display, 512MB of RAM and 4GB of internal memory. The camera which used to sit on the strap of the device has been moved to the main body and it’s a 2MP one instead of a 1.9MP lens. The Gear 2 Neo makes do without a camera. The Galaxy Gear worked with an 800MHz processor. The next generation smartwatches have 1GHz dual core chipsets. 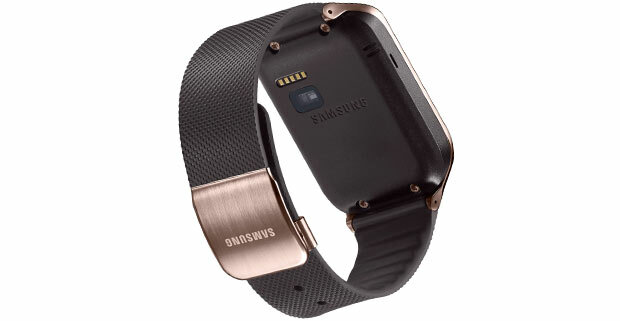 The wearables connect to certain (unmentioned) Galaxy handsets with the help of Bluetooth 4.0 LE. They can also act as standalone music players when hooked up to Bluetooth headsets. Meaning you don’t need your smartphone with you in order to listen to songs (and audio books, maybe). Samsung has added an IrLED sensor which lets users control several devices such as TVs or set-top boxes via the WatchOn Remote app. 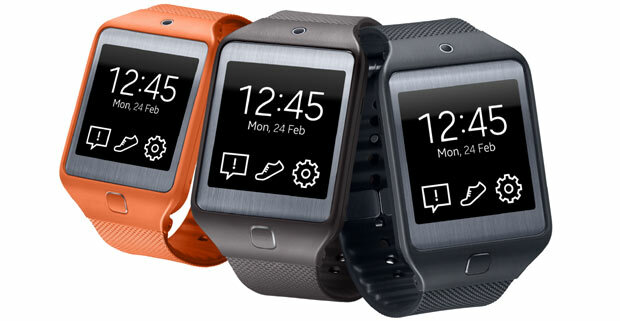 The Gear 2 Neo will be sold in black, gray or orange and the Gear 2 in brown, orange or black, the straps being swappable. Apart from offering the option of a pedometer and heart rate monitor, the gadgets can keep tabs on other user activities such as running, hiking, cycling and so on. They are IP67 certified for water and dust resistance. Also, they feature slightly smaller batteries than the Gear 2’s 315mAh one. 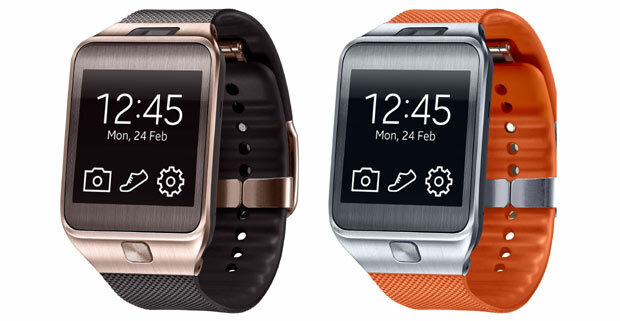 Expect the Gear 2 and Gear 2 Neo to hit retail availability in April. Samsung is holding on to their price details for now. Here’s the official blog post about the new Gear smartwatches.